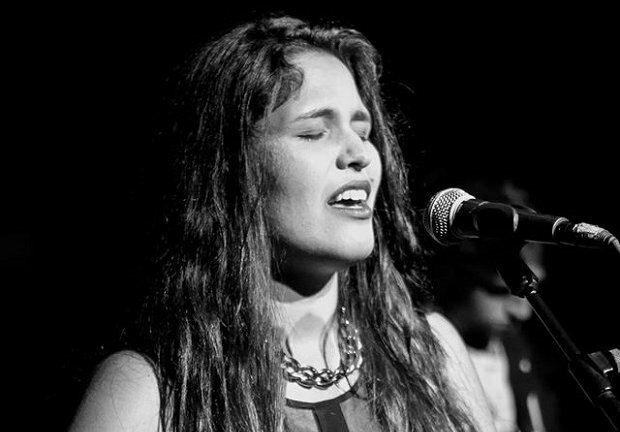 Though she began singing at a young age in her native Chile and did not move to the States until her freshman year of college, there's something very American about Catalina Gonzalez's sound. The Connecticut-based singer-songwriter's longtime love of the American soul, R&B, blues, and rock songbooks helped forge a unique sound built on those time-tested styles. Spreading her love of music has taken Gonzalez on the same up-and-down ride shared by many independent musicians. But Gonzalez has built on her successes and learned from setbacks in ways that should inspire other upstart singer-songwriters. Read on to learn how she went from a couple of gigs a year to a couple of gigs a month, and her advice to fellow musicians on how to persevere in the face of rejection. You've been singing since you were five and started on your path as a singer-songwriter at 12 before moving to the US. How have the different countries and cultures impacted your sound? Funny enough, I never liked singing or listening to music in Spanish when I was a kid, although it's my native language. Ever since I was little, my parents exposed me to R&B and soul music in English more than anything else. Growing up, I went to school with kids from a variety of countries and cultures. Moving to the US was no different because music here, very much like the people, is a huge melting pot. You can find so many different musical appreciations. I have always been somewhat of a sponge, absorbing all sorts of genres that are placed in front of my ears. It definitely changes my sound constantly. Some of my influences range from the sounds of Ella Fitzgerald, Motown artists, Adele, Beyoncé, Grace Potter and the Nocturnals, the Arctic Monkeys, the Black Keys, Allen Stone, and Shakey Graves, among many others. You credit fan feedback as a key to your successful mixing of popular music sounds, such as soul and reggae. Could you expand on this a bit? Do you adjust your sound based on constructive criticism, or are you just gauging audience reactions to different styles and approaches? I am always open to the opinions of other ears. I want to create music for myself, but also for other people. Music is very therapeutic for me and has gotten me through tough times, so by sharing my music with others, I am hoping that they will be able to identify with the themes I am singing of and maybe I will help them through good and bad times as well. I write songs in multiple different genres and still try to interconnect them, but if the audience tends to like one certain track more than another, I'll make sure to take that into consideration. I think fan feedback is also based on my performance as a whole. If I look comfortable and relaxed as I am doing my thing, they'll enjoy the whole show, too. As an independent singer-songwriter, which resources have you found to be the most valuable for building your music career? Ever since I started using Sonicbids, I went from having just a couple gigs a year to at least two gigs every month. Sonicbids is definitely an awesome resource when it comes to booking live performances and festivals. I think communication and networking are very important as well. Wherever you go, promote yourself, because you never know who's going to be around. Maybe it'll be another musician, an executive, or a new friend that will lend you their ears. In my musical and pedestrian travels so far, I have met so many different people that have ended up playing a big role in the development of my musical career, whether it was a small favor, a piece of advice, or a collaboration. Besides, you gain friendships and build a trustworthy relationships with all sorts of people. Since becoming a Sonicbids artist, you won a competition at the Smoky Mountains Songwriters Festival in Gatlinburg, TN. What was it like – not just performing at a festival, but successfully competing against like-minded artists? It was a great experience for me. The Smoky Mountains Songwriters Festival was the first festival I had ever participated in, and it exceeded my expectations. I think part of it was also the location, because I felt very inspired at all times. It had to do with the beautiful scenery of the surrounding mountains, but also the people. All of the other artists and songwriters there were amazing. I had never been exposed to that much country music, and I loved it. Truly inspiring. Everyone who I was competing against was of a variety of genres. Winning the competition was a big deal for me because I did it solo. I had no band playing with me at the two rounds of the competition, and I was going against duos and full bands. Performing was great, and that is mainly because the judges provided a lot of feedback. Once the last round of competition ended, they made it a point to connect with all the competitors, myself included, and provide lots of insightful advice to keep moving within the music business. What are some other doors that have opened for you since you started using Sonicbids? Ever since I started using Sonicbids, I went from having just a couple gigs a year to at least two gigs every month. This includes live performances and press. It has allowed me to travel, meet new people, and encounter other opportunities. All of these relationships I have built with people and places are long-lasting. I will be able to revisit some of the cities and venues in the future because I already planted a seed there, and Sonicbids led me to this stage. Something every musician deals with, especially in the early stages, is rejection. As someone who has poured most of your life into your music, what are some ways you handle rejection and other obstacles? What advice would you give to fellow artists on how to persevere, even when you don't get the opportunities you'd hoped for? You can beat yourself up about it for a minute, but just a minute. Then you have to snap out of it and move forward. Think about the reasons why you didn't get the gig: maybe you have to improve your online presence, brush up your biography, upload better quality recordings, photos, and videos. In this day and age, with platforms such as Sonicbids and other sorts of social media, you have to sell yourself better than the next person. Besides, if music is what you really want to do with your life, you will tread through the darkest of times and keep working until you reach your goals. It's a tough business to break into, but it is doable as long as you have patience, passion, and determination.